I’m sure you come across the distribution box with missing descriptions of components, terminal blocks, or cables. The orientation in such a distribution box is very difficult and it takes a long time to find what you are looking for. I have encountered this problem many times during my career. It happens quite often that a good and high quality marking is underestimated and, for example, only a glued paper label with a handwritten description is used. It is true that such marking is still better than none, but on the other hand, the descriptions fade in a few months, the labels peel off or are otherwise damaged and the hidden problem is here. It does not affect the functionality of the devices until an error occurs and it needs to be repaired. At this point, the lack of marking makes it very difficult to orientate and identifying components according to the documentation is very time-consuming. This can be avoided by using high-quality marking that will not be damaged by surrounding influences and will maintain perfect readability for the lifetime of the device in which it is used. Wago offers a comprehensive marking system to help you orientate. Let's look at our options. 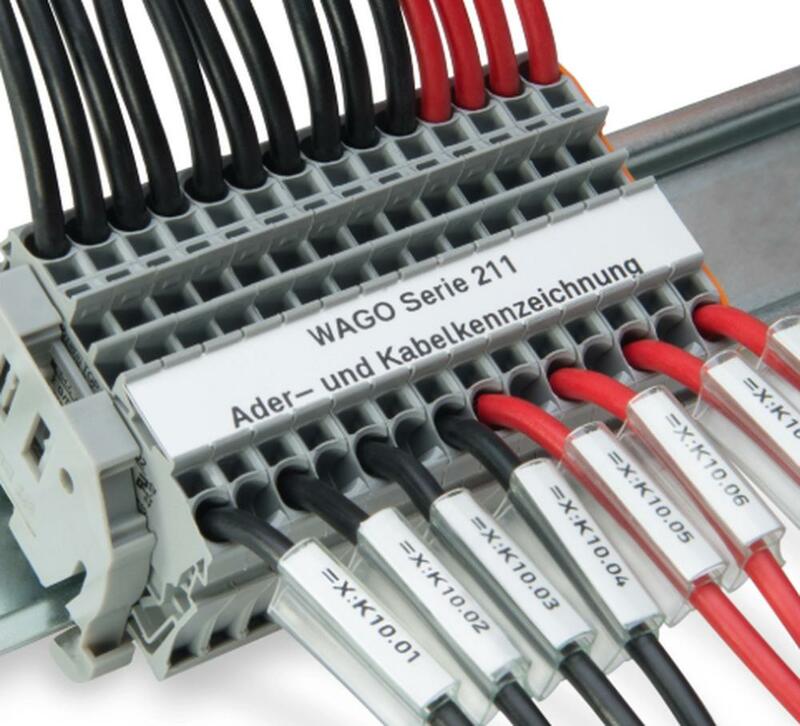 Wago offers a variety of types of markers that can be divided into two main categories: Pre-printed and Plain. The 209-50x series will greatly ease our preparation for marking and we can basically use them right away. It is ideal for marking terminals and individual cables. Here we usually only have a numeric marking, but of course, there are also regular signs and pictograms besides numbers and letters. 793-501 offers absolute freedom and can be used to mark the entire cable harnesses, different components and wherever we need unique markings. Marking can be done manually using special markers with colour resistant to abrasion, such as Wago 210-110. If we need to mark a larger number of markers, we will need to be a little bit automated. For this case, the Thermal Transfer printer smartPRINTER is available. Wago produces markers in various designs. We have, therefore, markings for wires, cables, plastic tubes in the form of marking sleeves that are easy to slide and either have pre-printed markings, or we can insert the appropriate label with the description. Very popular are variants attached using cable ties that can be easily attached to a cable or hose without disassembly. For mounting on various clamps and components, we can use markers with a snap lock. Of course, there are also self-adhesive strips and labels for easy and quick assembly. There are really many options, so there's no reason to be confused and guess what goes where. Because the image is better than a thousand words, let's look at the possible use of the markings. 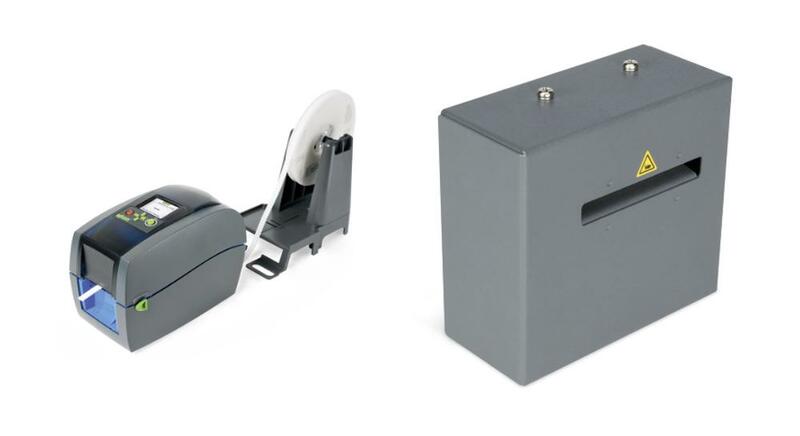 Thermal Transfer printer smartPRINTER with many accessories allows you to quickly and accurately print the markings. Thanks to the Termotransfer technology, the printed label can be used immediately and there is no risk of blur or fading. When printing a larger number of labels, you will surely appreciate the option of adding a cutting unit, which cuts the printed labels exactly to the required size. 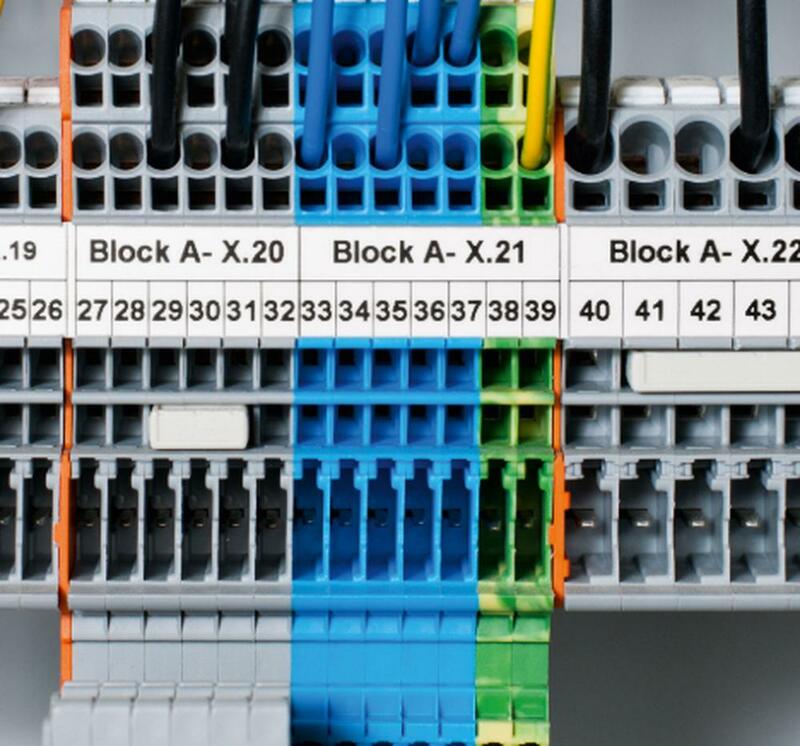 Here you can see a possible solution of the marking of the terminal block using a marking strip. The strips are supplied on rolls for different sizes of clamps. Here's a demonstration of marking the wires using sleeves supplemented with a marking with a description. Of course, different sizes are available from small wires to larger cables or hoses. It is also possible to use shrink tubes or markings fastened with a cable tie. 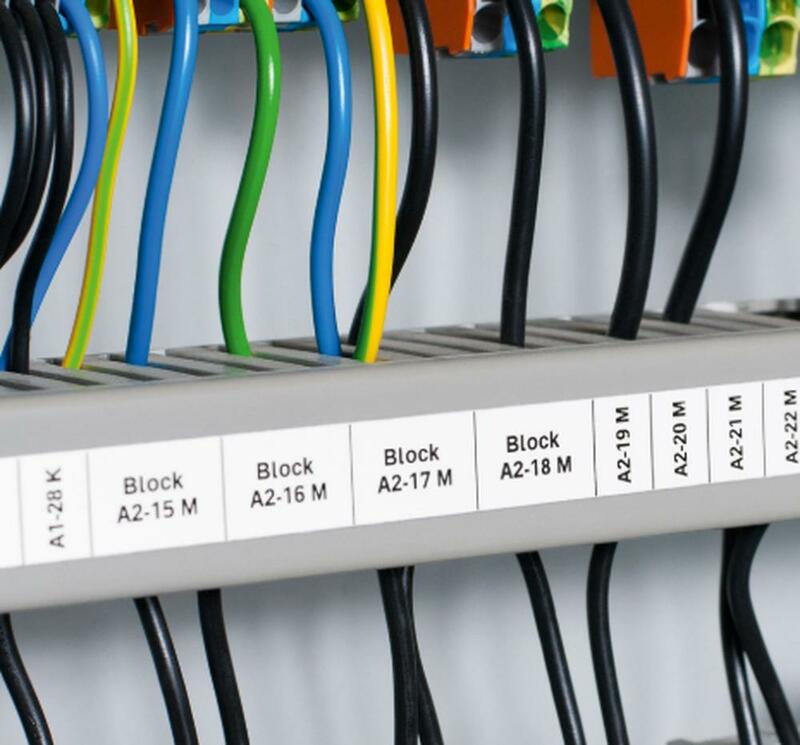 Marking of components is also possible with self-adhesive strips. There are also equipment labels with more data to mark larger units such as distribution boxes or different devices. An interesting option for writing descriptions is the possibility of automatically generating data for printing. For example from CAE applications (EPLAN, WSCAD, E3). 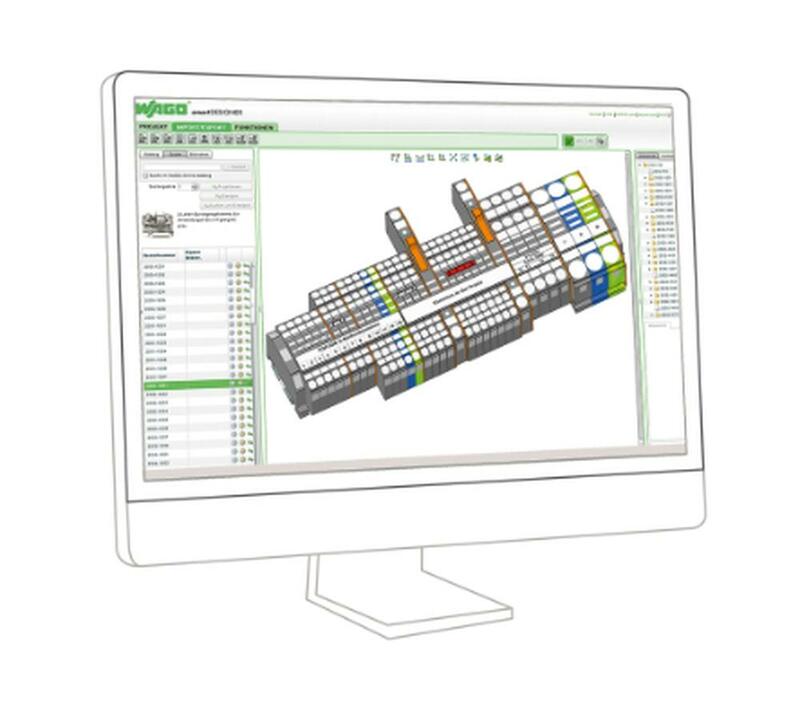 A good helper can be a free smartDESIGNER application that does not require installation and only a web browser is needed for running it. With it, you can easily prepare complete sets in 3D and then generate data for smartPRINTER printing. Simple mounting on any components. Different types of fastening: adhesive, sleeves, clips, shrink sleeves, fastening with cable tie. With fewer labels, the possibility of manual marking with a marker resistant to abrasion. For a higher number, thermal printer printing. The possibility to export data from CAE applications (EPLAN, WSCAD, E3).